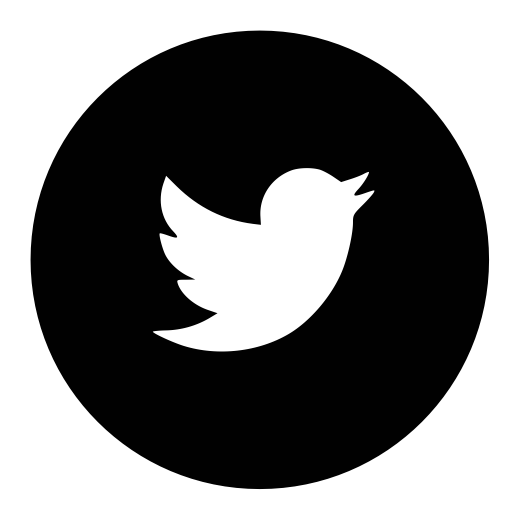 We are Authorized Radial Dealers and Radial products come with a Full Factory Warranty. 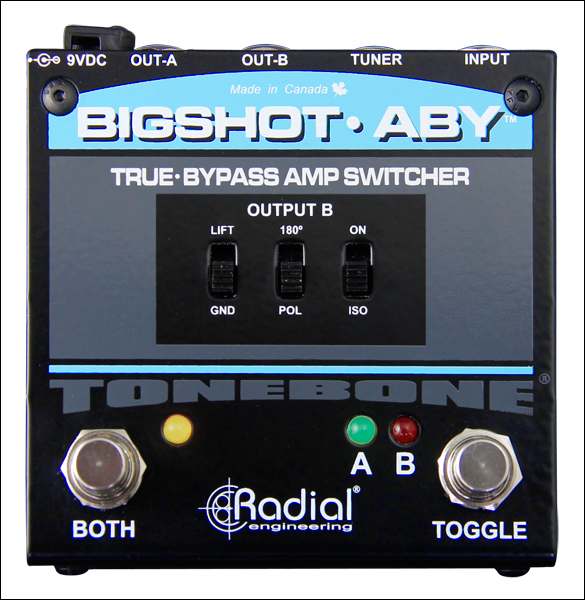 The Radial BigShot ABY True Bypass Switcher is a compact ABY switcher that enables you to either switch between two amplifiers or combine the signal when you want both amps to play at the same time. Designed for the purist, this true-bypass ABY switcher is completely passive meaning that there are no tone altering buffers in between the guitar and the amplifier. With the BigShot ABY, you get the pure tone from your guitar plugged direct into your amp! 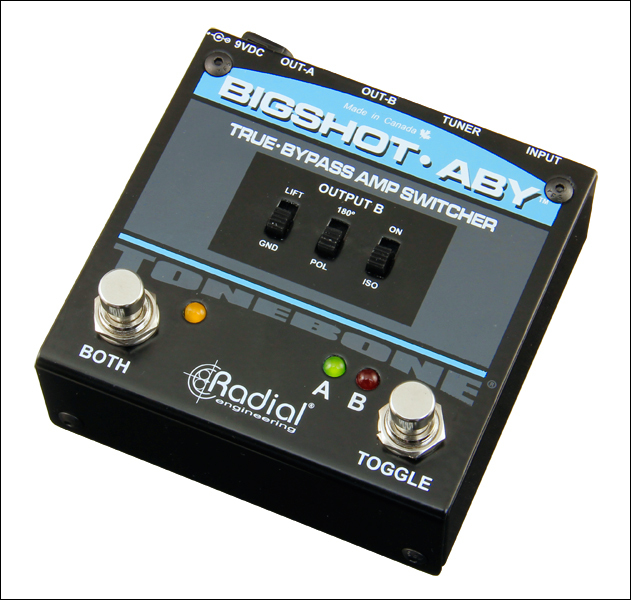 To add versatility, the BigShot ABY is also equipped with a separate tuner out. 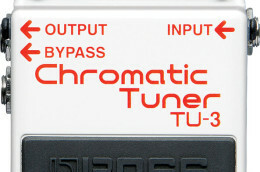 This ‘always on’ output feeds your tuner for constant monitoring while keeping it out of the signal chain. 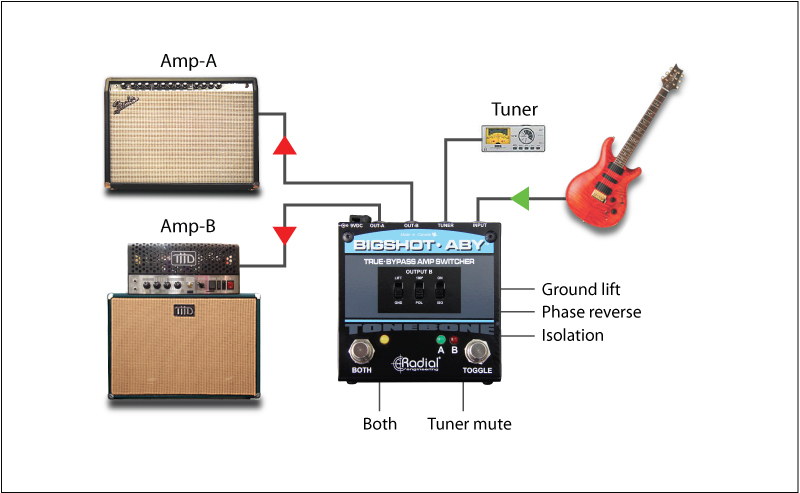 Should you experience hum and buzz problems due to ground loops, the BigShot ABY comes to the rescue with a ground lift switch and built-in isolation transformer. 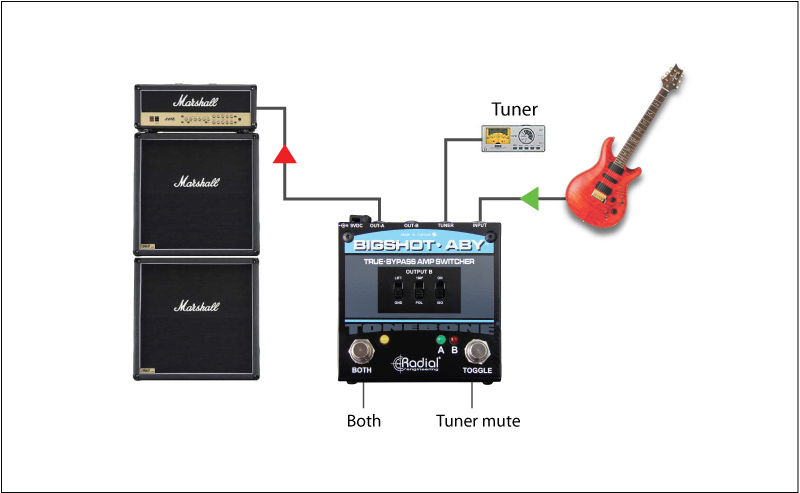 Once engaged, you can toggle the polarity of the second amplifier to ensure both amps play in absolute phase. 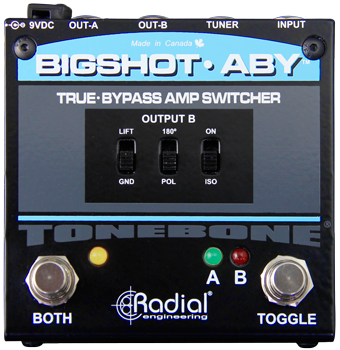 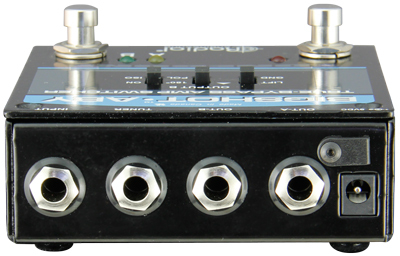 The BigShot ABY… the most versatile true-bypass switcher made today!